But in the end, Mueller concluded that those lies were not an effort to obscure a criminal conspiracy by Trump and his advisers to work with Russia. There was smoke, and plenty of it—including an eyebrow-raising meeting between Trump’s son and a Russian lawyer—but ultimately, no fire. The fight for those documents will be lengthy and contentious, particularly against the backdrop of the 2020 presidential election. It will involve complex debates over the rules that govern special counsel investigations, which put a member of Trump’s Cabinet in charge of summarizing Mueller’s findings for the public, and a president’s right to keep his private discussions out of the public eye. Trump’s legal troubles are far from over. Federal prosecutors in Manhattan are pursuing at least two criminal inquiries involving the president or people in his orbit, one involving his inaugural committee and another focused on the hush-money scandal that led his former lawyer, Michael Cohen, to plead guilty last year to campaign finance violations. New York Attorney General Letitia James is also looking into whether Trump exaggerated his wealth when seeking loans for real estate projects and a failed bid to buy the NFL’s Buffalo Bills. The future of affordable housing in Janesville could include a few small, single-family homes of about 500 square feet. Or maybe a few so-called “tiny homes” that would be less than half that size. It’s not clear which plan might start to gel first, but city housing officials and planners in the coming weeks could look at the two emerging projects—each aiming to serve as a stepping stone for people trying to climb out of homelessness. Beloit-based nonprofit social service agency Community Action announced last week that it could partner with the city of Janesville’s Neighborhood and Community Services division on a pilot project to build a cluster of four single-story homes 400 to 500 square feet in size. Community Action’s Development and Planning Director Marc Perry said his agency would offer the small houses to clients as low-income family housing under “Rapid Rehousing”—a program Community Action runs that provides transitional housing and case management to clients who are homeless or teetering on homelessness but trying to rebuild their lives. At any given time, Perry said, Rock County has a homeless population between 350 and 400 people, a growing number of those who are rent burdened or at risk of becoming homeless, in large part because of a worsening shortage of local, affordable housing. “I think it’s about the opportunity with a smaller house to build more units in a given space. And so that allows us to provide more housing for individuals. Really, the biggest push is that that the smaller house allows us to provide a nice, habitable space that’s in good condition for a family,” Perry said. Perry said the project might develop a savings program that residents of the small homes could apply toward permanent homeownership, although the program wouldn’t bind the residents to continuing to live in the small homes. “The most important piece is that we’d see those families become stable in their housing, then our case-management staff can start working with them to address some of the barriers and issues that led them to housing crisis in the first place,” Perry said. Community Action would own the homes, which would be built on slab foundations and likely be sited on a single, city-owned lot, Perry said. Community Action and the city haven’t hashed out costs, a location or detailed designs for the homes, Perry said, but he said the proposal would be a continuation of housing programs Community Action has run and managed for years. What would be different, he said, is the homes would be significantly smaller than transitional housing his agency has built or rehabbed in Rock County in the past. That’s similar to a separate, private proposal by local craftsman Rich Snyder to build a cluster of four, 200-square-foot “tiny homes” on a residential lot on South Franklin Street in Janesville’s Fourth Ward neighborhood. Snyder’s proposed tiny homes, and the small homes Community Action is now proposing, would be significantly smaller than the 800-square-foot minimum standard the city has set for new construction homes. That means both proposals would require special planning, review and approval. Snyder envisions the tiny homes being managed as transitional housing for people who are recovering from homelessness. 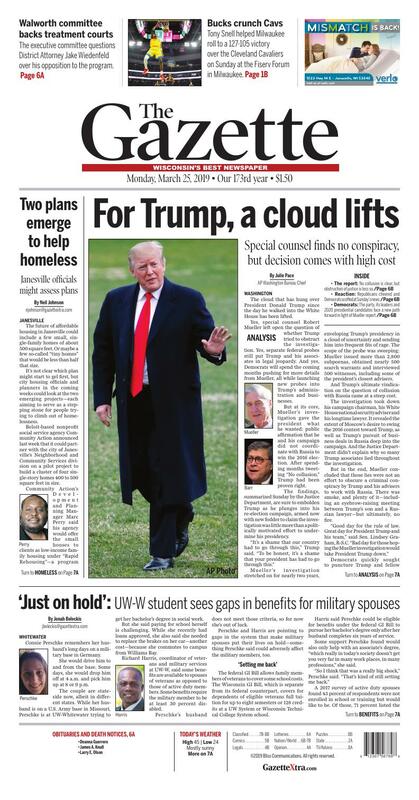 He said a Janesville nonprofit that serves the homeless population is considering whether it would manage the tiny home village. Snyder said he already has raised $5,000 in private fundraising to build a model tiny home he’d used to tout his project, and he’s hired Janesville architect Angus-Young Associates to design the homes and village. Under Snyder’s plans, the homes would be built on slabs and would be linked to city services. An excavator has offered to donate labor and materials for site work and utility lines. City of Janesville Housing Services Director Kelly Bedessem said she had reached out to Community Action months ago over the idea of alternative, affordable housing after the city and local nonprofit agencies formed a special task force on homelessness and housing. Bedessem called Community Action’s small homes proposal “very, very preliminary,” although she told Community Development Authority officials last week that a team of city planners and housing authorities already have been hashing out zoning and planning concerns on the proposal. And, Bedessem said, Community Action’s plan could be eligible for part of a $625,000 pot of state-granted, federal housing program funding that the city’s housing authority has earmarked for affordable housing projects, Bedessem said. Snyder has met with city housing authorities, but he said he has not sought city funding. Bedessem said city staff hasn’t spent much time examining the viability of affordable housing smaller than 500 square feet—in part because she said Snyder’s proposal is the only “tiny homes” project being talked about. Snyder hasn’t submitted formal plans to the city or given a clear indication of who might manage the tiny home village once it became occupied, Bedessem said. Community Action last week gave the city’s Community Development Authority a back-of-the-envelope explanation of the small homes proposal. Bedessem said the Community Action’s proposal likely would be submitted to the city’s plan commission as a planned-unit development—a type of planning strategy used to review developments that don’t strictly conform to existing local land-use rules. The homes likely would be built on a lot or lots the city earlier obtained through its neighborhood stabilization program, with preference to lots it owns near bus stops. The city and Community Action would likely hold neighborhood meetings to learn whether nearby residents think a cluster of small homes would fit a neighborhood’s “character,” Bedessem said. Bedessem said some of older neighborhoods have existing homes about 600 to 650 square feet that were built years before the city established minimum-size standards for homes. An owner interested in Snyder’s tiny homes proposal is willing to donate to Snyder a residential lot on South Franklin Street just west of the Harris Ace Hardware store as the location for the tiny homes, Snyder said. He said he plans to meet Tuesday with the Fourth Ward Neighborhood Action Team, a neighborhood advocacy group, to discuss his proposal. This story has been altered from an earlier version to reflect Community Action official Marc Perry's job title. Perry is the nonprofit agency's Director of Development and Planning.